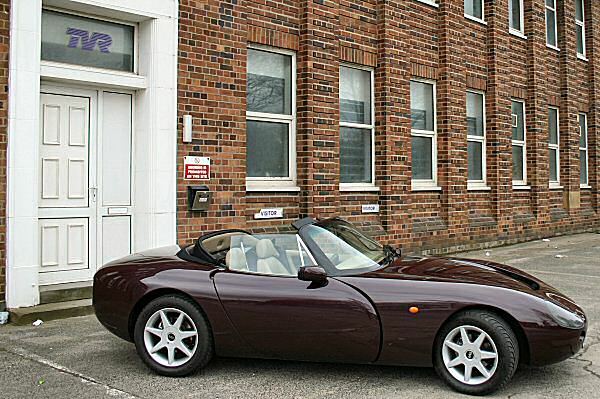 TVR Griffith - the Greatest thing ever to come out of Blackpool? 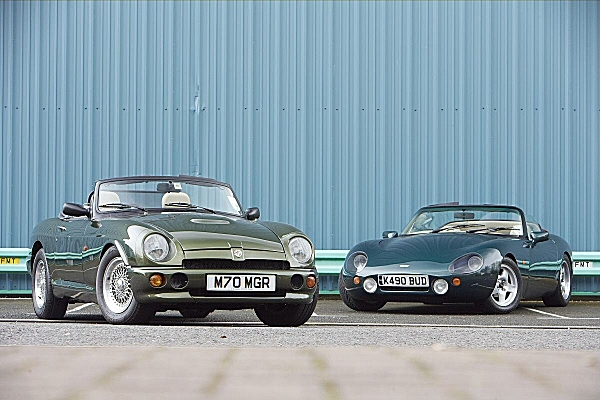 The TVR Griffith caused a revolution for its maker – the moment it was first unveiled as a concept at the 1990 Birmingham Motor Show, it had the look of a winner. it is possibly one of the purest sports car bodies ever, and it’s certainly among the best-looking post-war British sports cars of them all – and what an incredible transformation from producing wedges with bits stuck on to the organic beauty of the Griffith. It was underpinned by a spaceframe chassis based on that developed for the 1980s Tuscan race car. The first run of Griffiths used Rover V8s reworked to give a choice of either 240bhp 4.0 or 280bhp 4.3 form, and around 600 of them were built in 1992, but production was stopped in 1993 to allow the more widespread-appeal Chimaera to be put into production. It returned in 1994. 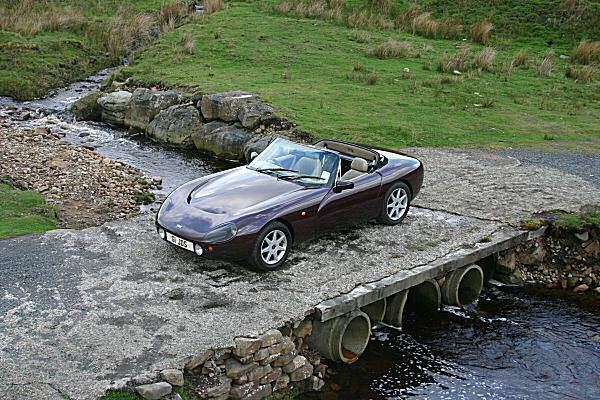 Although it was originally designed to use TVR’s own AJP V8 engine, the company chose to build it was an uprated – by TVR Power – 5.0-litre Rover V8 developing up to 320bhp. In keeping with the stunning performance this provided, the revised Griffith also came with better brakes, Koni dampers and an even stiffer chassis settings. It remained in production, with constant modifications, until 2001.